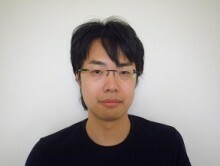 Ryota Nakamura is an associate professor at Hitotsubashi University, Japan. He is an applied microeconomist specializing in health. He holds a BA and an MA in Economics from Kyoto University and a PhD in Economics from University of York. Prior to joining Hitotsubashi in 2016, he held positions at University of East Anglia and University of York. His research interests include empirical investigations of health related behavior and also of healthcare system to inform national and international health policies, using a wide range of research methods including micro-econometric analysis of observational data, economic experiment, and research evidence synthesis. No answer at the moment. No related question at the moment.